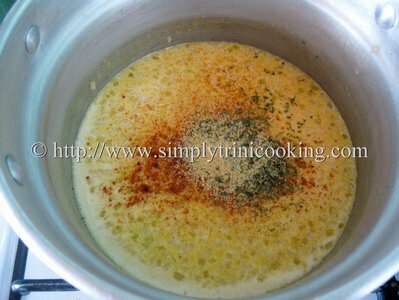 After a poll on my facebook fanpage and some other discussions that followed, I felt that I just had to do a Cassava Au Gratin recipe for my fans. So here it is, cassava au gratin in all its creamy splendor. I must admit I now see why so many people voted for cassava as their favourite provision. Coming to think about it, cassava is really a versatile root crop. 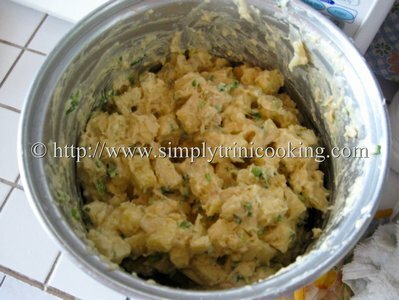 It can be used to make a lot of things …you can make cassava bread, farine, cassava dumpling, cassava flour, cassava porridge, parsley cassava, pone, and even pastelle…it can be eaten boiled, fried, or baked. Cassava also has a bland taste which makes it perfect for dishes where the taste or scent of it doesn’t overpower all the other ingredients. 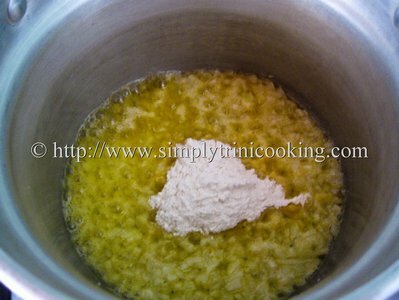 Another nice thing, I have come to use cassava flour in, is in the GFCF recipes that we have posted. It makes a great substitution for wheat flour. 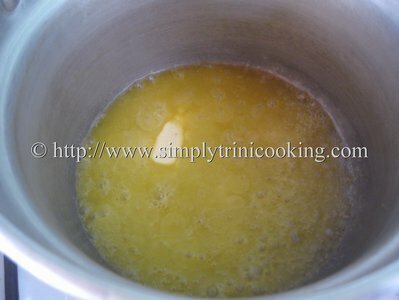 Even in frying fish we discovered a ratio using cassava flour, cornmeal and cornstarch that makes a light crisp coating. 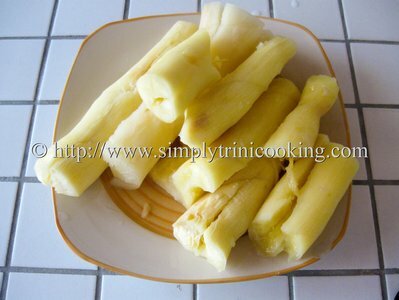 This cassava is really getting to be an all rounder in the kitchen! Anyhow, looking back at my original post potato au gratin, that I did many moons ago, I promised to use a local ingredient to make an au gratin, so I’m keeping up my part of the bargain. Now to do other recipes I promised to do lol!! 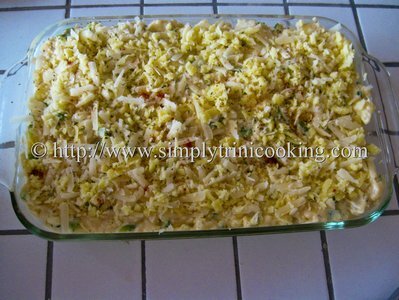 Here’s Cassava Au Gratin. Enjoy! Peel and wash the cassava. Boil the cassava. The cassava is done when a knife can go through it easily. (Do not over cook it). Dice and set aside. 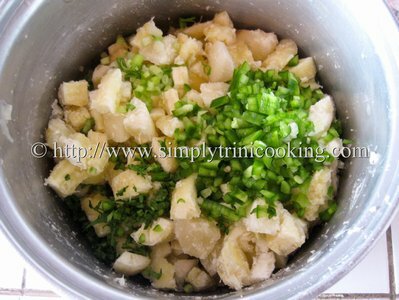 Finely chop the onion, celery, chive, and peppers. 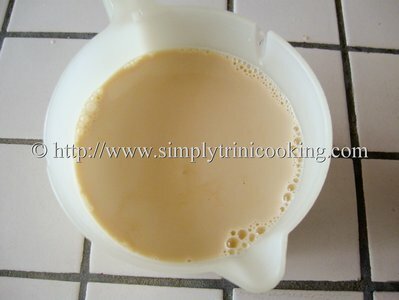 Measure the amount of milk you need and have it ready. 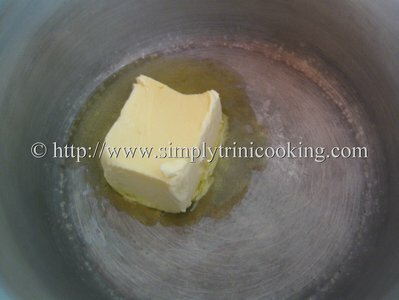 In a deep small pan, melt the butter. 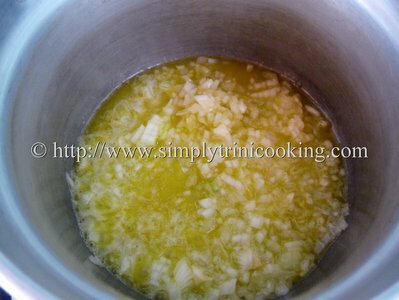 Then add the chopped onions. Cook until the onions are soft. Then add the milk, 1/3 at a time. Stir occasionally. 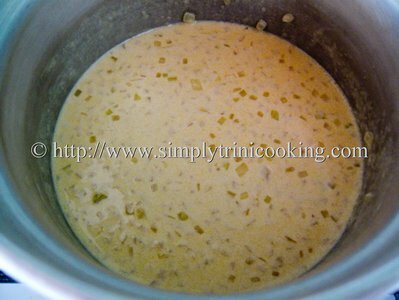 Allow the milk to thicken for about 3 minutes. pimento pepper to the diced cassava. 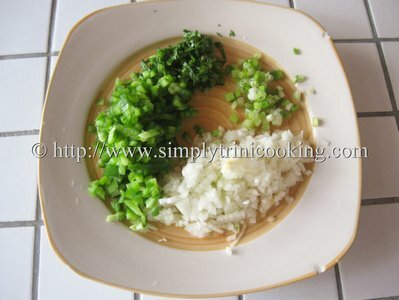 Back to making the sauce …..add the garlic powder, paprika, and parsley. 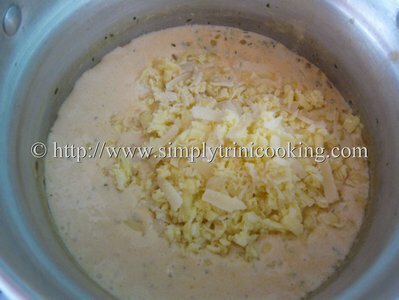 Then add 2 cups of grated cheese. 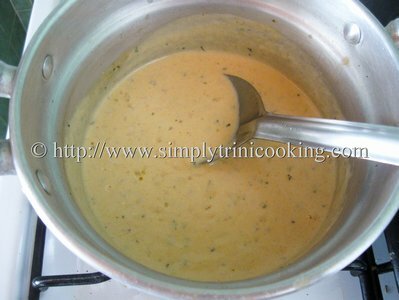 Stir and remove from heat immediately. Pour over the cassava and mix well. Pour into a deep greased casserole dish (8x11x2.5 inches). 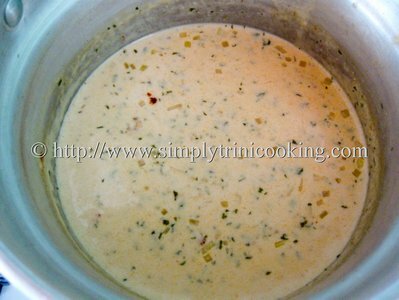 Garnish with some parsley, paprika and the remaining 1/2 cup cheese. Bake for about 45 minutes in a 250 degree F oven. 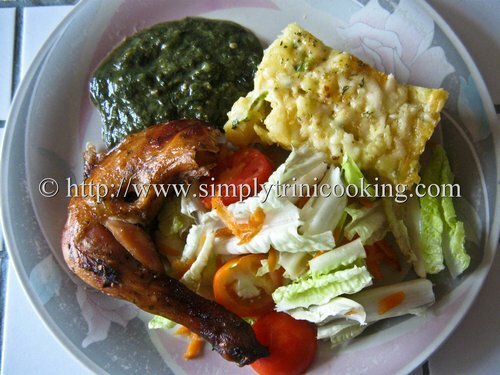 And there you have it, Cassava Au Gratin trini style… Try it and tell me what you think. If you have suggestions why not drop me a line or leave me a comment. 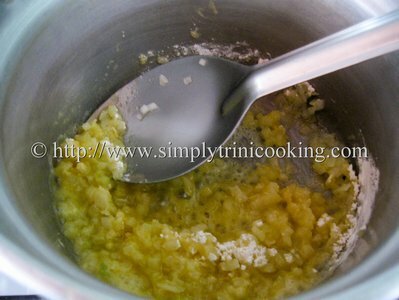 Of course more trini recipes to come. 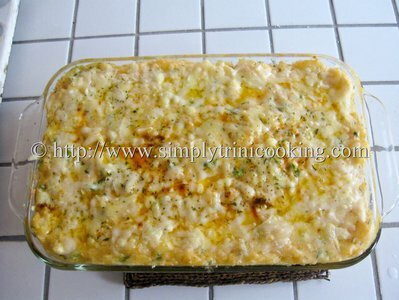 Hope you enjoyed my cassava au gratin recipe!